Best Cryptocurrency to Invest In: is it Ripple XRP, Litecoin, Ethereum or Bitcoin? 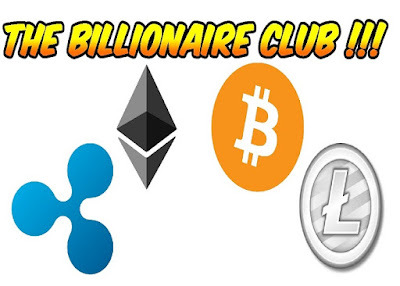 Knowing the best cryptocurrency that you can invest in might be the only thing keeping you from joining the millionaires’ club. Did I just mention being a millionaire? Yup! Well, think of it this way: during onset, a Bitcoin was worth less than $40, now it is worth around $10,000, per coin. Litecoin was less than $50, now it is worth around 200+. Ripple xrp is still low, from less than a dollar, now it stands at slightly above $2 a coin. Ethereum hinges at $695.45. So assume you had -let’s say just $4000 and were bold enough to invest with Bitcoin, which of cause was then the only best cryptocurrency in the market to invest in. Now, let’s do some math, that would be 4000 x 40 which is = $160,000. To be clear, we are talking of investing in cryptocurrencies, right? So, in this case you would have scooped a profit of $156,000 –after subtracting $4000 from $160,000 when Bitcoin was $12,000. Good money –right. When it comes to capital, obviously you cannot lack a few bucks to set aside as investment -that I can bet. The biggest question always comes-in in form of: which exactly is the best cryptocurrency to invest in. We are together up that point, right? Sure. Well… let’s take it a bit deeper with a different coin. Ripple xrp. As at the time of this writing, ripple xrp stands at around $2.5 a coin. Now, assume you have some good money that is lying idle at the bank –let’s say some $10,000. Again, maybe you see Ripple xrp as an opportune cryptocurrency to invest in, and you’ve checked all the other factors which I have discussed below -and found the crypto is good to go by. As in buy then sell the cryptocurrency latter when the price will have hiked. That could mean, your crypto-worth after dipping-in your $10,000 will be 10000/2.5 which is = 4000 xrp. Now again, assume all things go well, and the xrp shoots to the level where Bitcoin currently values at, which is around $11,500. Your new cryptocurrency investment worth would be 4000 x 11,500 which is = 46,000,000. Maybe you unconsciously have other questions beyond capital -know what those are the question that will help us come to the precise conclusion on what the best cryptocurrency to invest in could be. Question 1: What’s the Best Timing to Invest in Cryptocurrency? Timing may mean several things depending on your understanding. It could be; ‘should I wait until a crypto has gained more value to opt in, wait until it crumbles then take advantage of the situation to buy some coins and trade later’. Or, it may also mean, either a certain month of the year or when there are political instabilities that may affect the currency directly? As in, after you have located the best cryptocurrency to invest in, don’t forget to have it right on these questions. According to me, a newer but still popular currency like ripple xrp is better. And pertaining to its timing, at least when it is this low, as it is currently, could be more strategic. However, it’s best to first do some market research to establish the stability of a cryptocurrency on your own. Question 2: What Are The Chances That My Choice Cryptocurrency Will Peak? To answer this, let’s take a case with Litecoin price peaks and how its trend has been. In the mid-January 2018, if you were careful with cryptocurrency news, Litecoin’s price peaked at an amazing rate. In one night it gained a whopping $58+ value. That is, from $147 to close to $205. If you asked me the night before the peak, I could have rarely got an accurate answer –but the truth is, at that point in time when it was still low it was the best cryptocurrency to invest in because it specifically presented the signs of shooting. Well, most people just woke up to the news which all tech websites gave the headline as: Litecoin price peaks above $200. Now, let’s imagine you had some $20,000 and you invested in Litecoin that previous night when it was still below $150 (rounded off from 147). That is, in case you were lucky enough to discern best cryptocurrency to invest in as being Litecoin. Your crypto worth would have been 20,000/150 = 133 LTC before. And in the next day after the peak you would be talking of a cryptocurrency worth of (133 x 205) which is = 27,265. That’s a whooping profit of $7,265+. In summary, this tells us that if you want to invest or buy then sell cryptocurrencies to make profit, you must be willing to RISK. At least make sure you are ready to lose first before you are ready to gain. Tricky right? Question 3. Is Investing into Cryptocurrency a Game for Every One? 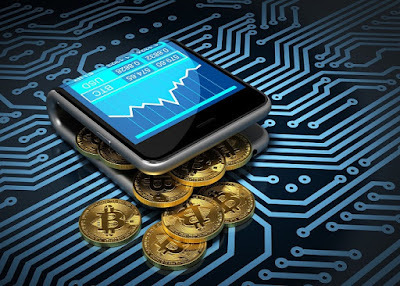 Personally I used to think investing in crypto or digital money is for the stinking rich and in case you didn’t owe extra dollars laying idle at the bank you should not even think about this risky affair of buying and selling cryptocurrencies. That may or may not be true. But, the fact is, you can try your luck with whatever amount you already have. Who, knows -maybe things might work for the better for you. Am I insinuating that you play try and error with your money? Nope! That’s why we want to be precise with what exactly one should look into before investing in cryptocurrencies. So be careful! find those top 5 cryptocurrency to invest in 2018 and see if they are worth tossing your coin into. To sum it all, buying cryptocurrency and selling when the prices have peaked can be a business on its own –just like forex trading. However, I would advise that before taking any action, do your homework to personally establish what the best cryptocurrency to invest in is. You don’t want to cry behind the curtains alone. What the next cryptocurrency to invest in 2018? Let’s keep watching. Well… but in case you earn some profit through our advice, don’t hesitate to share with us some of it, and we will definitely say: THANK YOU! #CoinOrbisCap is the best user-friendly financial app for digital currency users. Gives you quick access #cryptoprices, #marketcap, #coinchart, #cryptonews on over 1500 currencies.